West Linn and Lake Oswego rarely miss an opportunity to win bragging rights over one another. The neighboring cities have a heated high school sports rivalry and often find themselves jockeying for top spots on lists of Oregon's best cities. Most recently, they engaged in a "friendly competition" that didn't have a true winner, save for Mother Earth. In coordination with the West Linn Sustainability Advisory Board (SAB), West Linn City staff members and citizens teamed up to compete against their Lake Oswego counterparts in the October EcoChallenge sponsored by Northwest Earth Institute. Teams received points for sustainable actions, and in the end West Linn won handily with 8,396 points compared to Lake Oswego's 6,957. "Individuals chose their own challenges (e.g. ride a bike X miles to avoid sending X pounds of C02 into the atmosphere) from a wide variety of choices in a variety of categories (waste, food, health, transportation, energy etc. )," West Linn Assistant to the City Manager Dylan Digby said in an email. "The website program assigns points to encourage friendly competition ... and also combines and calculates the results in a more tangible way. It really just brings more awareness to simple, small, but real changes we can make to lessen our impact on the Earth." A total of 39 staff members and residents were part of the West Linn Eco-Team, according to SAB member Sara Harding Mihm. Some sustainability efforts throughout the month of October included changing to LED light bulbs, reducing the use of animal products, eating more fruits and vegetables, adjusting thermostats and saying 'No' to plastic straws. 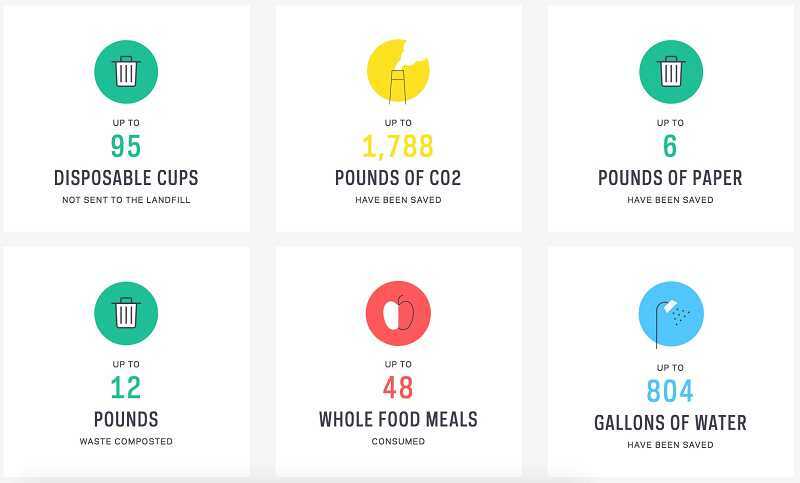 In the end, calculations showed that the City saved 804 gallons of water, consumed 87 meatless or vegan meals, kept 1,788 pounds of carbon dioxide out of the air and avoided 53 plastic straws. With Deputy City Manager and Community Development Director John Williams leading the way, the EcoChallenge was also a chance for staff members work alongside residents toward a common goal. "John did a fantastic job communicating with and motivating staff to participate in EcoChallenge and send several emails to encourage staff to participate, try new things and help (City) Council reach their goals of engaging further with staff and the community," Harding Mihm said.